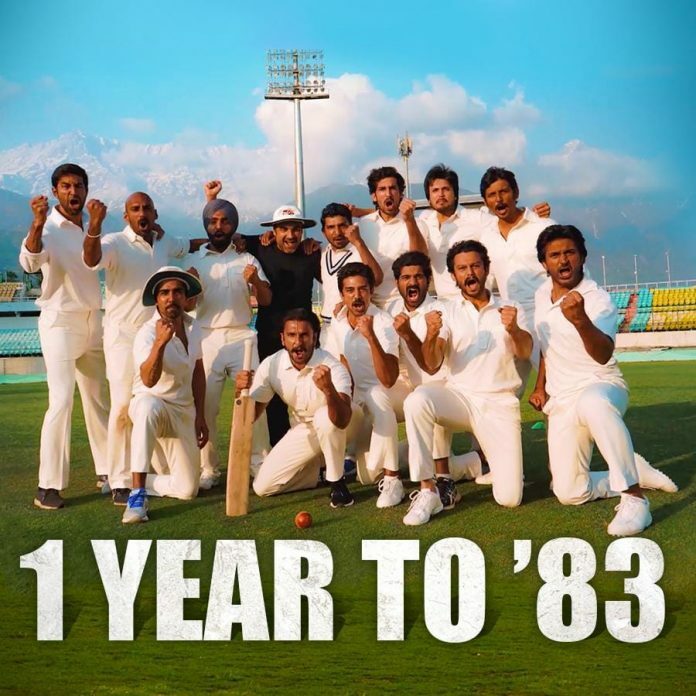 Since the cast of the upcoming Bollywood movie ‘83’ started shooting for the cricket biopic, we have been treated to numerous pictures from the cast. The much-awaited flick stars Ranveer Singh who plays Indian cricket team captain Kapil Dev. With the Indian team being such a close-knit family, the director, Kabir Khan, wants to recreate this with the cast. The cast are currently in Dharamshala for some team bonding and intense coaching sessions. The stars of the flick took to their social media accounts to post some exclusive behind the scenes pictures. Apart from Ranveer Singh, Punjabi singers Ammy Virk and Harrdy Sandhu are also starring in the flick. They will also be playing prominent characters in the movie alongside Singh.